Hands down one of my favorite summer music buys so far– Artists The Cataracs release summer EP called “Gordo Taqueria”. In May the duo released the first single off the EP titled “All You” which features Waka Flocka Flame and Kaskade, music video produced by Mickey Finnegan who has also worked on videos for LMFAO, New Boyz, TYGA, Lloyd and Soulja Boy. 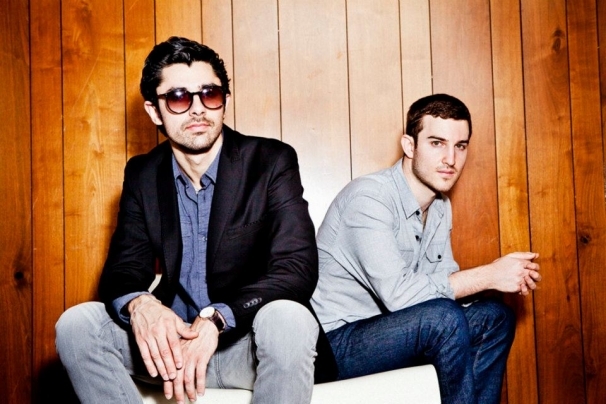 The Cataracs new EP has a fun summer beat that will keep you going. That is not saying much, considering all of their music makes you just want to dance or have a fun night. During most artists waiting periods- in between EP and album production, they tend to fall off for a bit, there isn’t a time of day that you can turn on the radio and NOT hear these two taking over with their fresh beats and killer tracks. The Cataracs have collaborated on multiple tracks and produced many more with everyone from Enrique Iglesias to David Guetta. Their beats are not only incredibly unique but the tracks themselves are so fresh, not like anything you currently are listening to or skipping across. While all the new songs off “Gordo Taqueria” are great, I’ve been listening on repeat to “Calling Me” and “Synthesizer”. When you go through and listen to all eight songs from the EP, they all share that same electro/hip-hop vibe that the Cataracs are known for delivering, yet each song is a one unto itself. They each have different sounds, different beats and are put together differently. There are plenty of producers out there that are making some amazing tracks, but these guys not only produce their own work but are also on it. For how far these two guys have come since they first started (about two years ago) and at such a young age, it is truly inspiring. You can get this hot summer music EP from The Cataracs HERE.